“This means that an incident involving a chemical attack was prepared by NATO countries, with the militants given everything they needed to accomplish it. NATO countries, first and foremost the United States, organize such provocations to allow them to further blame the Syrian government,” Hteit added. “The American and French [armies] are illegally based on Syrian territory. NATO was founded as a defensive bloc, but has now turned into an aggressor organization,” the ex-officer noted. Prior to the latest weapons find, Syrian government troops had repeatedly reported finding large quantities of NATO and Israeli-made weaponry in territories cleared of Islamist militants, including Daesh* (ISIS). NATO and Tel Aviv have generally refrained from commenting on these discoveries, but have publicly supported what they call a “moderate” armed Syrian opposition since the start of the 2011 civil war. 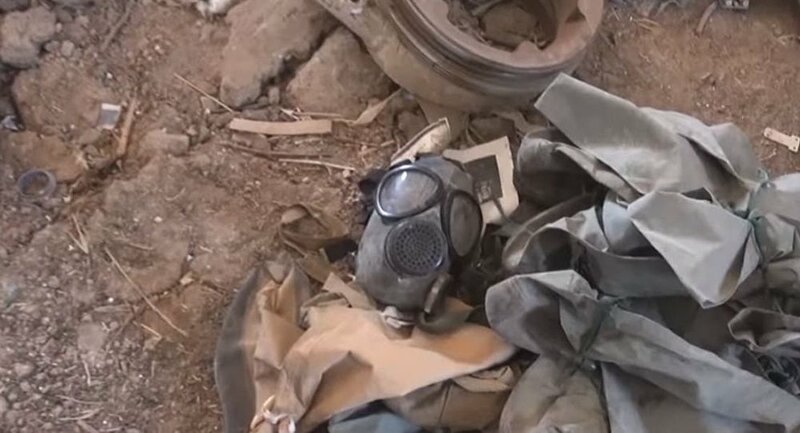 A SANA reporter confirmed Tuesday that the military’s operation to clear the Homs countryside of illegal arms caches would continue until all weapons there are found, allowing locals to return to the area. The northern Homs countryside was declared free of terrorists last week, after the last of the militants and members of their families were evacuated to the country’s north.